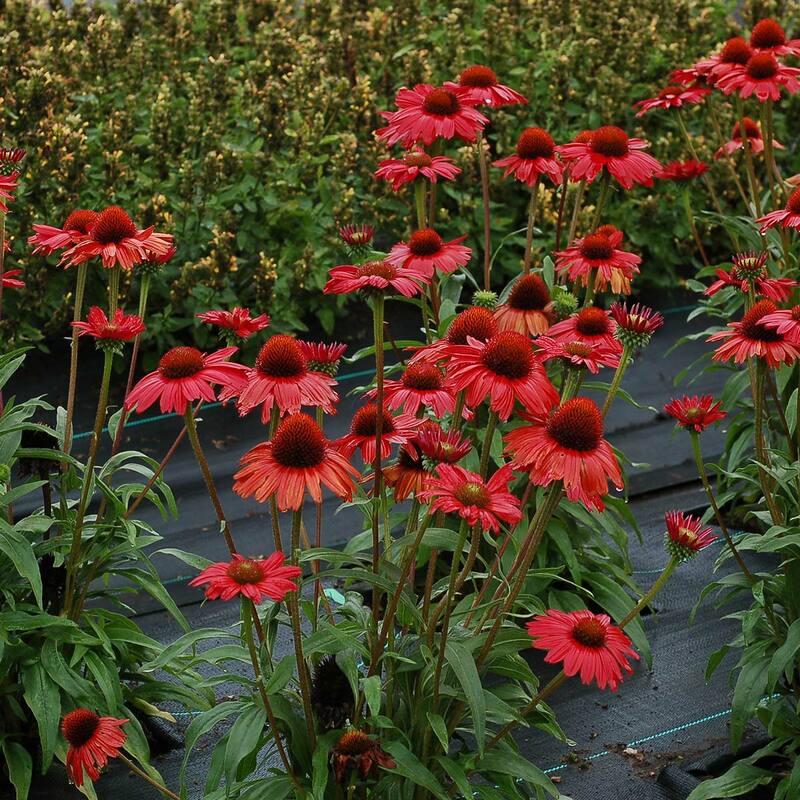 Echinacea KISMET® Red | TERRA NOVA® Nurseries, Inc.
Echinacea KISMET® Red is upright, free flowering, with a compact habit. 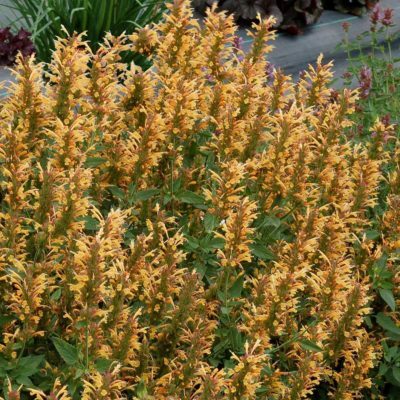 A great crown count makes the perfect container or border plant. 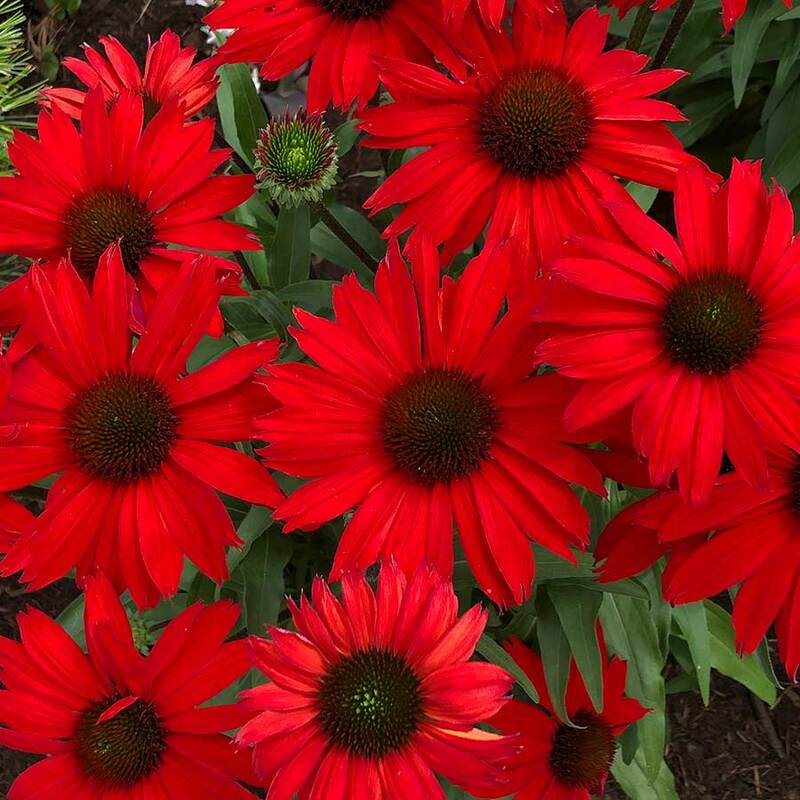 The early blooming, large, red daisies rebloom all summer and make an amazing display. 16" / 24" / 18"
Average soil, coarse and slightly mineral soils are best. 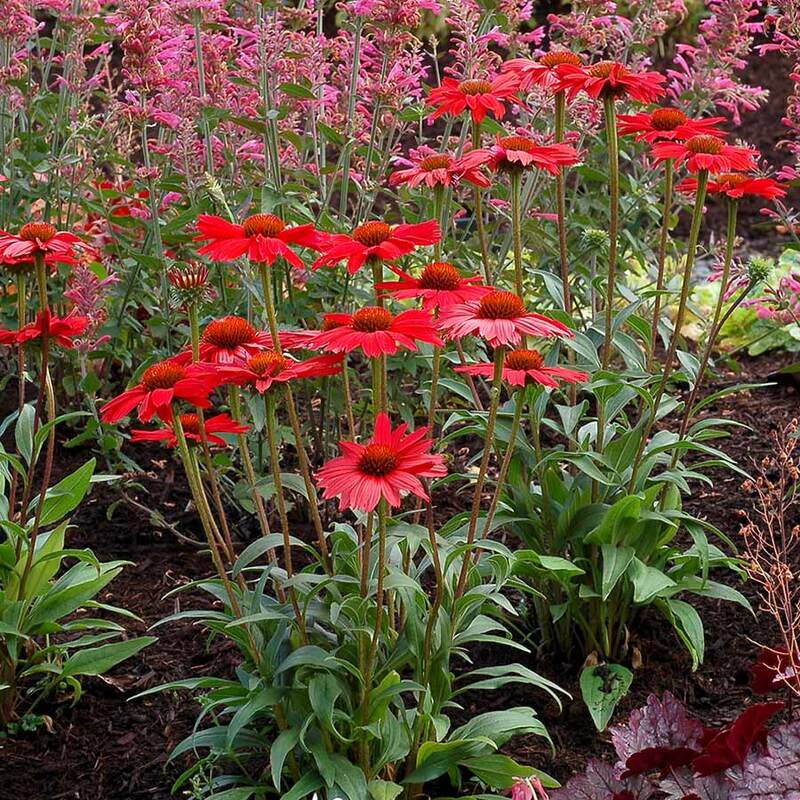 KISMET® Red is different due to sheer flower number and a fabulous habit. 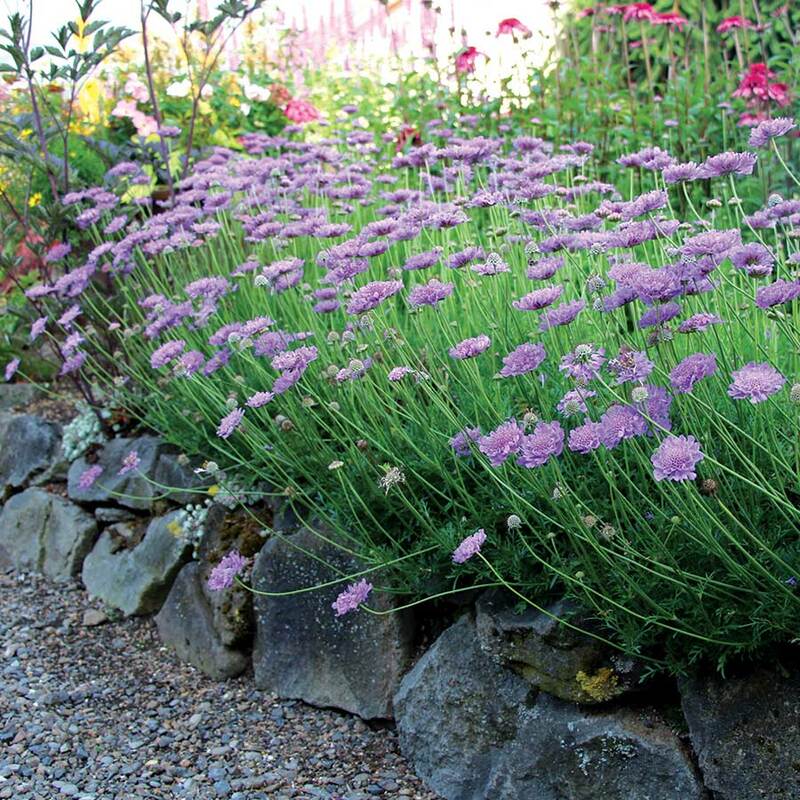 It blooms first year, early in the season, with large flowers and continues until a hard frost. A great plant! Long summer bloom, mixed beds, border edge. Plants shipped in fall require winter protection. 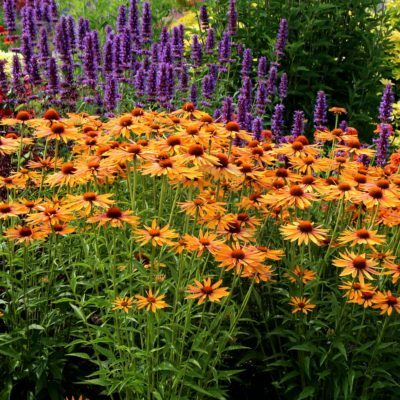 Plant one liner per 4-inch or gallon pot. 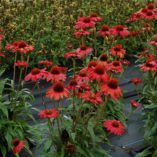 Make sure not to cover the crown with soil by planting too deep; incorrect planting depth is the most common cause for losses in Echinacea. The soil levels of the pot and the liner should match up evenly. A broad-spectrum preventative fungicide after transplanting is recommended – check labels for desired rates and application intervals, and (as with any chemical) test on a small group of plants before applying to the entire crop. 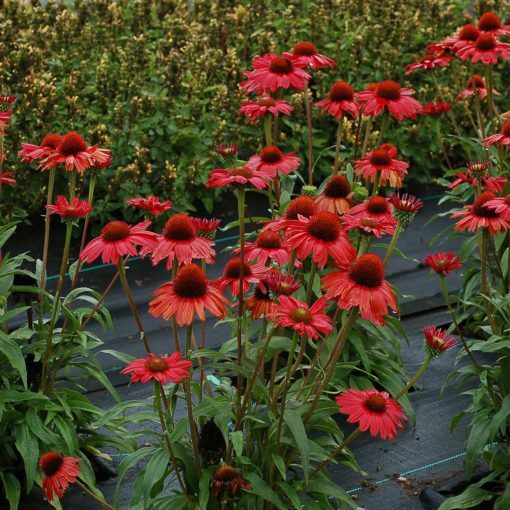 Media: Plant Echinacea in a well-drained media. pH/EC: Maintain pH levels between 5.5 to 6.5 and an EC of 1.0 to 1.8. Temperature: Echinacea does well with 50 to 55° F nights and 60 to 65° F days. Light: Provide 2,500 to 5,000 foot-candles of light. Echinacea is a facultative long-day plant with a critical day length of between 12 and 13 hours (depending on variety). 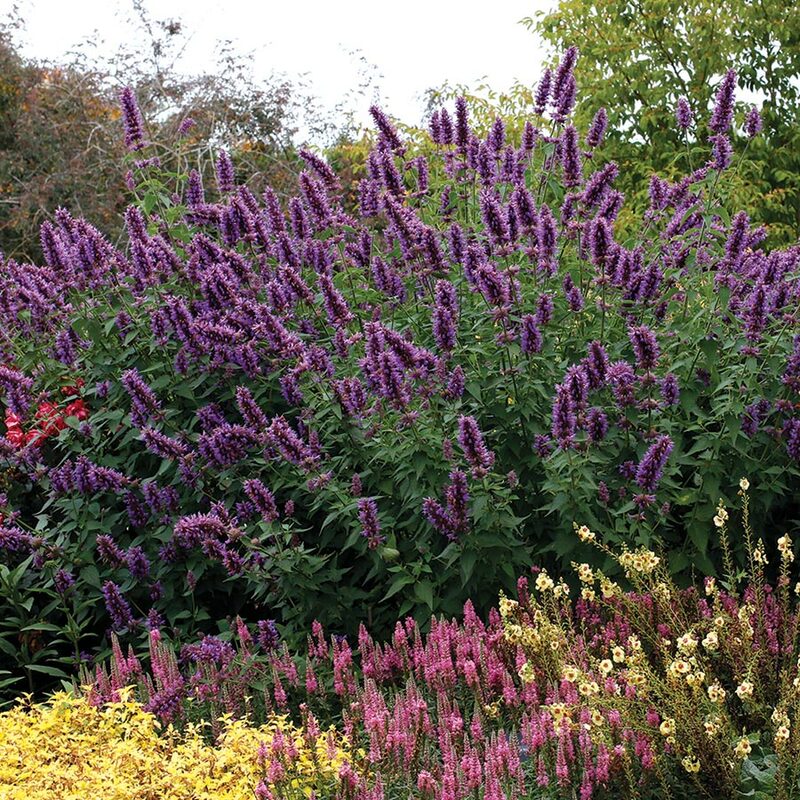 It is beneficial to bulk plants under short-days and then force flowering under long-day conditions. This can be achieved using natural short-days or black cloth. Photoperiods of over 16 hours of light are antagonistic to flowering, but do not stop it entirely. Putting plants that have already flowered under short days may induce dormancy. Forcing is best done using daylength extension as opposed to night interruption. PGRs: Configure has been observed to promote basal branching and should be used when bulking the plant in its vegetative state. It can sometimes cause distorted growth on leaves that are emerging at the time of application, but the plant quickly grows out of it. It is generally recommended to do more applications at lower rates as opposed to higher rates with a single application. Fertilizer/Watering: Supply a low-medium rate of constant liquid feed at 100- to 150-ppm of 20-10-20 fertilizer. Allow the plants to dry moderately between watering as it is critical to maintain wet and dry cycles for overall plant health. 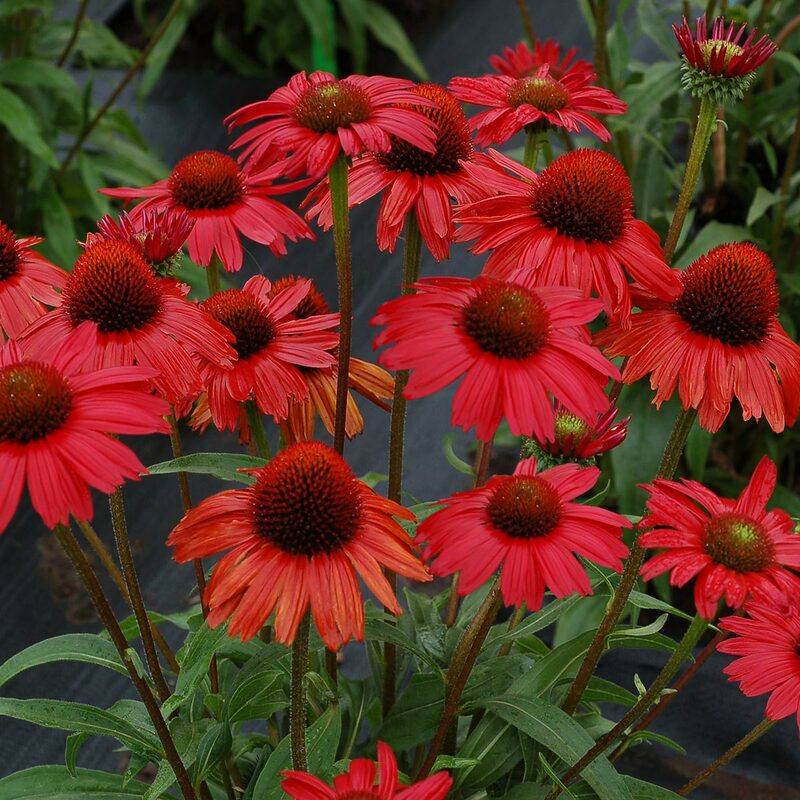 Note: for people that overwinter the Echinacea, keep the EC as close to 0 as possible when they are dormant. Avoid late applications of slow release fertilizers. Pests/Disease: Thrips can be a problem as the plants begin to flower. Pythium and Phytophthora can be problems if the plants stay waterlogged for prolonged amounts of time. Plants should be allowed to dry moderately between waterings. Plants can be susceptible to botrytis if adequate spacing and airflow is not maintained. It is generally recommended to water in the morning to avoid sending the plants into their night cycle with water on the foliage. 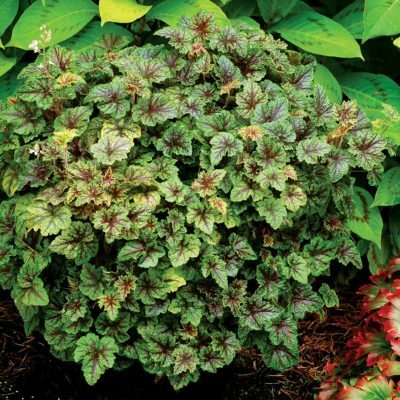 Scheduling: Finish time from a 72-cell liner to a 4-inch pot is six to eight weeks. From 72-cell to 1-gallon pot is 12 to 14 weeks. Finish time varies by cultivar.